While there are millions of people suffering from adult acne, many do not know a whole lot of information about the condition. Mostly what they do know is faulty information passed on to them by friends and family. This may cause them to try treatments that will only make acne worse, or shy away from treatments that might actually help. Here is a look at some of the most common myths on adult acne that you should be aware of. 1: Acne is caused by poor personal hygiene. In actuality, it is not a lack of personal hygiene that causes acne, but rather hormonal changes. There are many times during your life when hormones change and become imbalanced, leading to acne breakouts. The major times are during puberty, pregnancy, and menopause, though some women will also have breakouts associated with their period or changing birth control methods. Washing your face excessively will not help your acne in most cases, and in some cases the irritation and dryness from too much washing will make your acne breakout worse. 2: You cannot wear makeup if you have acne. You can wear makeup even if you have acne breakouts; the secret is finding the right makeup products for your skin type. If you read labels, you will find that some brands of makeup and skin care items will have the words “noncomedogenic” and “nonacnegenic” on them. This means that the produce it specially formulated to not clog your pores and cause acne pimples and cysts. Some people will look for natural, organic, or herbal makeup formulations. However, you have to use caution, since not all of these are also noncomedogenic and nonacnegenic, so they could make your acne worse. If you try a new type of makeup or skin product and it causes you to breakout, you should avoid using it in the future. 3: You cannot shave if you have acne. Many men believe that they have to avoid shaving if they have acne on their face; however, this is not true. You simply have to use more caution when shaving affected areas to avoid irritating the skin worse or causing an infection. You may also watch your shaving creams or after shave lotions, since irritations caused by these could be contributing to your acne problem. 4: Acne only happens on your face. While the face is commonly affected by acne, it can also occur on your neck, chest, and back. This is because of a high concentration of oil glands. In some cases, this acne can be treated using the same products that you use on your face. 5: You should ignore your acne. 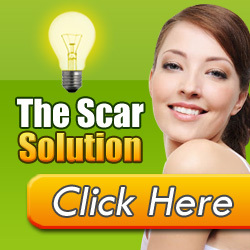 If you do not treat your acne, it can become worse and leave disfiguring scars. If you have tried products and they have failed, consult your dermatologist for the best products and treatments that will work on your individual case of acne. If over the counter products are not working, you may need a stronger prescription medication. This entry was posted on Thursday, March 28th, 2019 at 12:03 am	and is filed under Acne. You can follow any responses to this entry through the RSS 2.0 feed. You can leave a response, or trackback from your own site.